Could the Fed stall a recovery in US real estate? The US real estate market has performed fairly well in this period of relatively low interest rates and cheap finance. 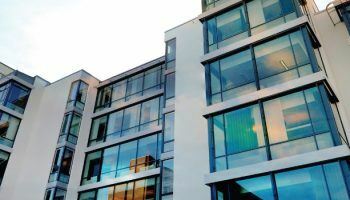 Even though many experts believe that US real estate will continue to perform well in the short to medium term, backed by a relatively strong economy, there are concerns about an increase in the cost of finance. We have already seen five increases in US base rates since December 2015 with a further move upwards expected towards the end of 2017. Could this stall an ongoing recovery in US real estate prices? The majority of US property markets a now around about their pre-crash highs although the market is so large and diverse that there are also areas which are still extremely depressed. This has obviously been assisted to a great extent by cheap finance brought on by historically low interest rates. While there are concerns that an increase in finance costs will impact the real estate market, it has still kept its forward momentum despite five interest rate increases since December 2015. We can only hope and pray that lessons have been learned from the 2008 US mortgage crisis which resulted in a worldwide economic downturn. This was the most serious depression since the 1930s and while it took many “experts” by surprise there are signs that some investors may not have learnt any lessons. When Donald Trump was made president of the USA there were many who pinpointed his experience and skills in the real estate market as being extremely positive. There were hopes that he would simplify the tax situation, which he has done to certain extent, and introduce an array of initiatives to help the real estate market. The reality today is that despite moving well beyond his initial 100 days in office he has done very little to directly assist the US real estate market. His boast that he would increase economic growth from a forecast of about 2.1% up to 4% also seems to have fallen by the wayside in the short term. At this moment in time he seems happier to be picking fights with journalists and disagreeing with every monetary policy that the Federal Reserve even discusses. There is nothing wrong with Donald Trump having his own opinions, which is his right as president of the USA, but he also needs to take into account the experience of others and long-standing institutions. There is no point picking a fight with the Federal Reserve at every opportunity because it would be far better if the White House was more willing to work together with institutions such as the Fed. We know there is much anticipation about the potential impact Donald Trump could have on the US real estate market in the medium to longer term. The short term situation is now coming to an end with a relatively little direct assistance from the White House. We can only hope that once his political battles die down, he decides to look inwards rather than fighting overseas, that Donald Trump will finally deliver on his much heralded and much awaited real estate directives. If he fails to deliver fairly soon there is a growing concern that markets could become tired and impatient.